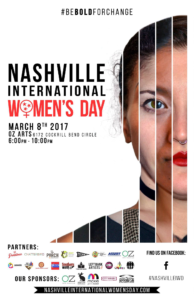 Nashville International Women’s Day, in partnership with OZ Arts Nashville, will bring performing artists and activists together March 8th to celebrate women and diversity in our city. Our goal is to listen to many different voices of Nashville women and learn how we can work harder to support each other. Programming will weave together performing artists, mini-workshops and action-based panel discussion centered around the IWD 2017 campaign theme, “Be Bold For Change” and our own theme, “International Nashville”. Wu Fei (a virtuoso on the ancient 21-string Chinese zither); chatterbird ensemble performing work by living female composers; Dudette, an all-girl (ages 12-17) queer-friendly group from YEAH! Girls Rock Camp; Act Like A GRRRL performing a choreo-poem; poetry and spoken word readings curated by Ciona Rouse + Third Man Books, The Porch Writers’ Collective and Southern Word. At the heart of the event, there will be a moderated panel discussion centered around the IWD worldwide campaign theme “Be Bold For Change” and our own sub-theme, “International Nashville.” The panel will be moderated by Melody Fowler-Green, Executive Director of the Metro Human Relations Commission, whose mission is to protect and promote the personal dignity, peace, safety, security, health, and general welfare of all people in Nashville and Davidson County. Our organizers are Beijing-born Chinese zither virtuoso, Wu Fei, Carissa Stolting & Noelle Panepento from Left Bank Artists, Sarah Bandy from YEAH! (Youth Empowerment thru Arts & Humanities), and Celine Thackston from chatterbird ensemble. This event is donation-based. We are asking for a suggested donation of $10 at the door which will help offset production expenses. 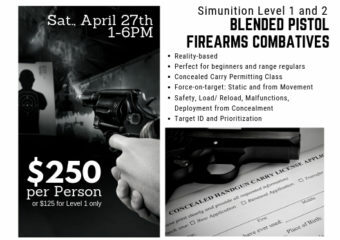 Seating is limited so please reserve your spot here. Designed to help participants find and successfully express their individual inner strength, the ASSERT Program focuses on prevention, de-escalation, effective physical defense tactics, and, most importantly, self-empowerment, encouraging students to make decisions and take action from a place of strength, self-assuredness, and self-worth. Act Like a GRRRL is a movement to counter a culture that feeds teenage girls ideas that undermine who and what they think they can be. This choreo-poem contains the words of every GRRRL who has been through Act Like a GRRRL in the last 13 years defining what those “extra Rs” mean for her. It is the manifesto of our #RRRevolution. Dudette is a three-piece all-girl, queer-friendly band of youth ages 12-17 years old that play original rock ‘n roll music. They formed at the Southern Girls Rock ‘n Roll Camp in 2015 and have been booking their own shows and rallying youth in the community to express themselves ever since. Mel Folwer-Green, Executive Director of the Metro Human Relations Commission, will lead a conversation between artists & activists centered around the International Women’s Day worldwide campaign theme “Be Bold For Change” and our own sub-theme “International Nashville”. chatterbird is a Nashville-based alternative classical ensemble, dedicated to exploring uniquely orchestrated chamber music. Their IWD performance will include repertoire featuring the poetry of Lydia Davis, as well as a piece by genre-bending composer Eve Beglarian. Born & raised in Beijing, Wu Fei is a master of the ancient 21-string Chinese zither. In addition to performing traditional Chinese tunes and her own compositions, she will improvise a new piece in honor of International Women’s Day.